We have a selection of glass and crystal beads in assorted colours, shapes and sizes to suit all our suncatcher pendants. Make gorgeous suncatcher and craft gifts, mix and match your beads to create many unique designs on your craft creations. 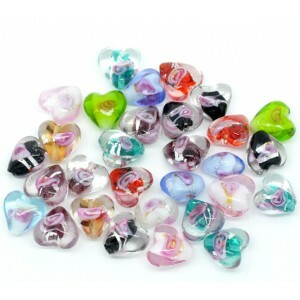 Love heart bead Pack of 10 Comes in various colours. (Please note that no 2 hearts are exac..